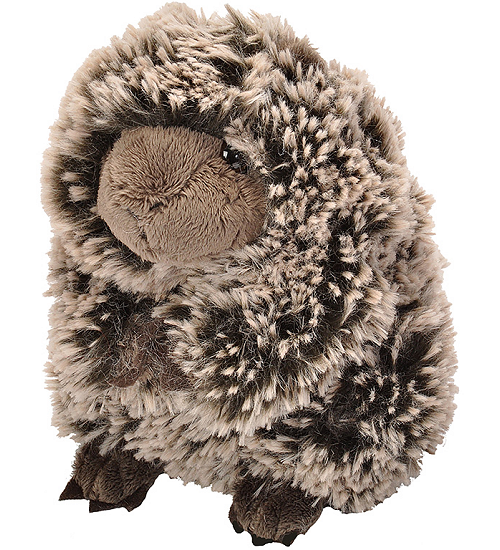 This adorable little Mini Cuddlekins stuffed porcupine is sure to delight with its cuddly body of super-soft and frosted "spiky" brown fur, brown face, ears, and paws, fun felt claws, a bushy and floppy tail, and warm brown eyes in a sweet face. Fun Facts about Porcupines: Did you know that the sharp spines that cover porcupines are called quills? Any given porcupine can have upwards of 30,000 quills on its body. 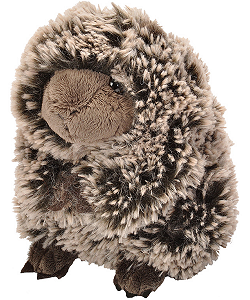 This sweet Mini Cuddlekins plush moose has a huggable body of soft brown fur, black hooves, and warm brown eyes.